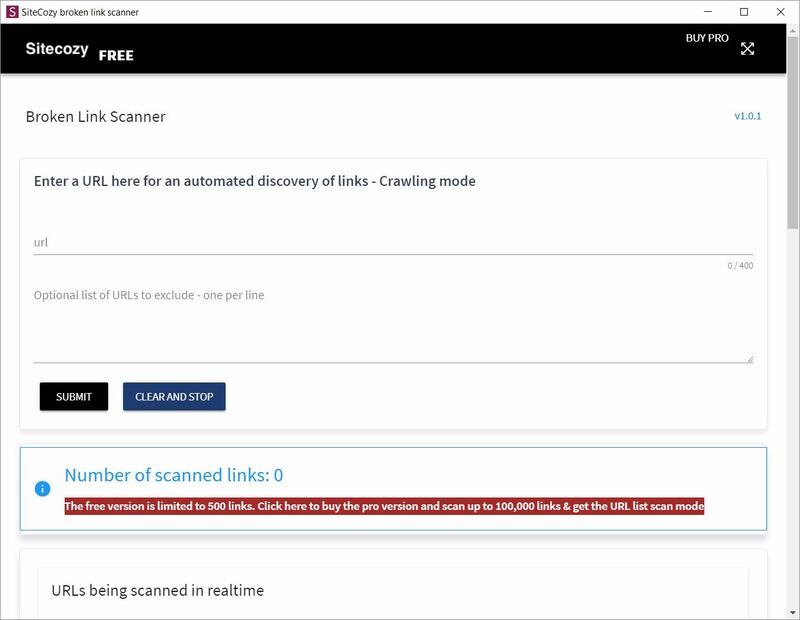 The SiteCozy broken link scanner is a desktop application for Microsoft Windows, MacOS and Linux to check URL errors from websites on the Internet or Intranet. It reports 4xx errors and 5xx errors on webpages from URLs in A HREF attributes (links), IMG SRC attributes (images) and iframe attributes. It reports mixed content errors when the webpage URL is in HTTPS and an internal link/image is in HTTP. It reports links when they count more than 15 redirections (outgoing internal or external links). The crawler follows 301 redirections to check internal or external URLs. The error report displays a clickable URL of the host page, the error URL and a description of the error. By clicking on the host page, a new browser window opens and you can find the error URL. The report only returns URL errors to quickly identify issues on a website. Note that some websites block our bot like LinkedIn. This may create false positive errors. Exclude the links that generate such errors. An additional form is available to check Url links from a determined list of URLs. (In preparation) Database of errors to help you analyze your website errors. A license is valid for 3 devices (for example one Mac, one PC, one Linux) and it can be deactivated from any installations.